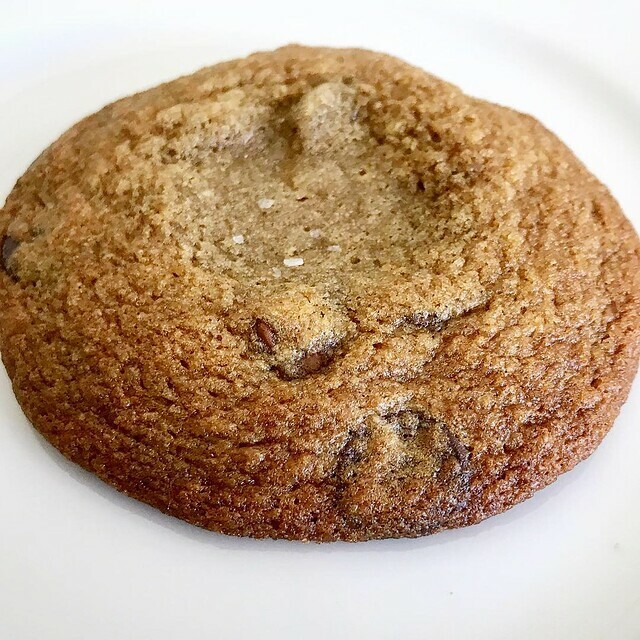 Some of the best cookies in Los Angeles can be found at in a gas station in Palms. Sure, it sounds a bit strange, but considering that some of the best Mexican food and Indian food can also be found where you fill up your tank, then it makes perfect sense. 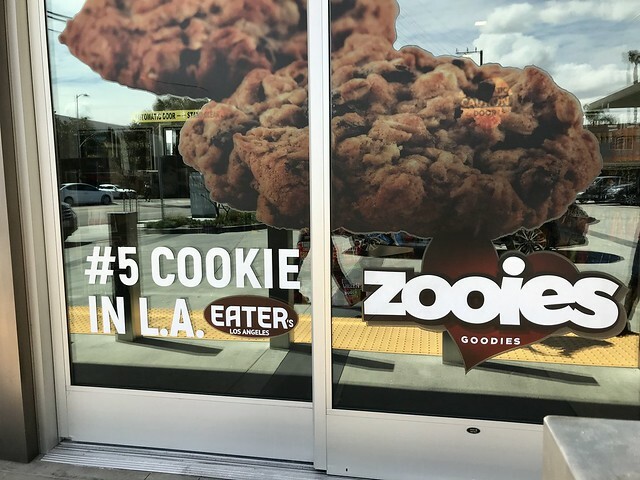 Named one of the top places for cookies in LA by Eater, Zooies freshly bakes its cookies in a gas station mini mart. 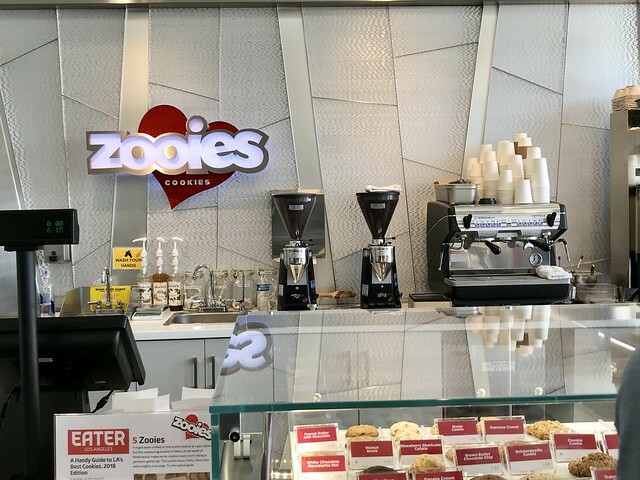 Zooies occupies one side of the mini mart, with over 20 different flavors on display. 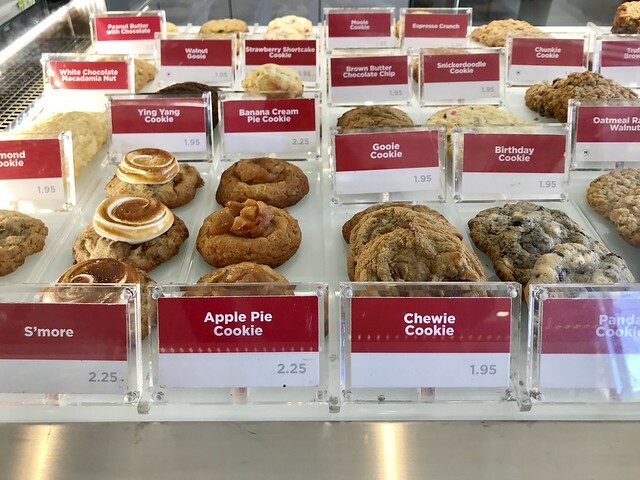 With that many cookies, choosing is a challenge. They have everything from a few variations of chocolate chip cookies to the more unusual banana cream pie and baklava. Cookies range in price from $1.95-$2.25, with bars and brownies for $2.50 each. We finally chose three. The Gooie featured both milk and dark chocolate with a gooey center that was like eating cookie dough, crisp at the edges. 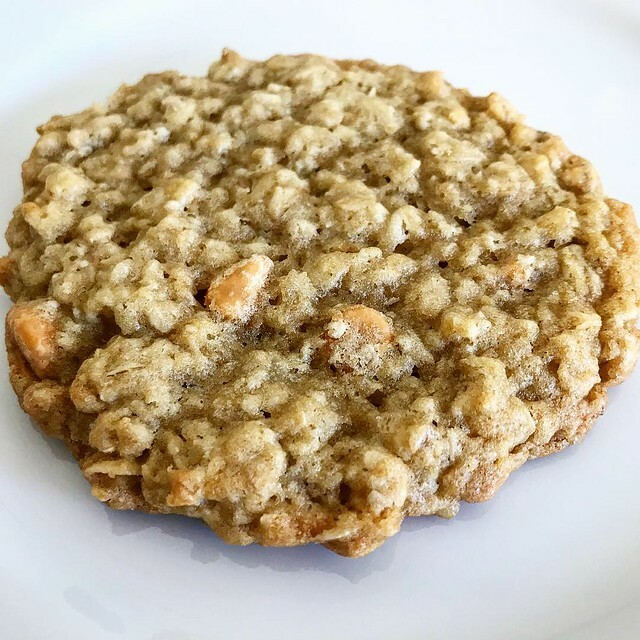 The oatmeal butterscotch was a thin oatmeal cookie, packed with oats and butterscotch chips. 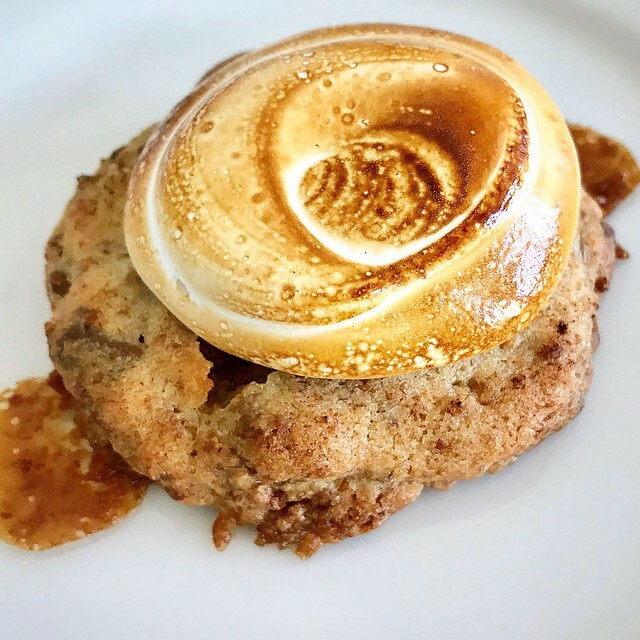 The showstopper was the S’more, with a beautifully torched marshmallow on top. Zooies uses quality ingredients like cage-free eggs and hormone-free butter. Plus, they even have vegan and gluten-free options, as well as sugar-free varieties. The gas station has the cheapest gas price that I’ve seen on this side of town. If you fill your tank, it’s like getting a cookie (or two) for free! Full tank and a full belly? Sounds good to me.